Dr Lauren Notini is a Research Fellow in Biomedical Ethics at the Melbourne Law School, University of Melbourne and an Honorary Fellow with the Biomedical Ethics Research Group, Murdoch Children’s Research Institute. Her main research interests include paediatric bioethics, clinical ethics, empirical bioethics and the ethics of assisted reproductive technologies. Lauren joined the Melbourne Law School in January 2018 to work alongside Professor Julian Savulescu and team in establishing a research programme focusing on the ethics and regulation of emerging genetic and other healthcare technologies. Lauren is working on various projects, including those relating to transgender health, next-generation gene sequencing in paediatrics, elective children’s surgeries, and emerging assisted reproductive technologies such as mitochondrial replacement and in vitro-derived gametes. 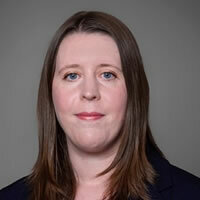 Before joining the Melbourne Law School, Lauren completed a 2-year postdoctoral Fellowship in Clinical and Organizational Bioethics at the University of Toronto Joint Centre for Bioethics. Over the course of this Fellowship, Lauren conducted clinical ethics consultation, bioethics teaching, research ethics review, organisational policy development/review and academic bioethics research. Lauren was awarded her PhD from the University of Melbourne in 2016. Her PhD project, titled ‘Appearance-altering facial surgery on children: An empirically informed ethical analysis,’ involved interviews with Australian surgeons to explore their decision-making. Before beginning her PhD, Lauren completed a Master of Bioethics at Monash University (2012) and a Bachelor of Science (Honours) (2010) and Bachelor of Biomedical Science (2009) at the University of Melbourne.